One of my favorite times of the year is when I teach folktales to my 2nd and 3rd grade students. I share different folktales thoughout the year with all my students, but in the spring I always do a more formal unit. 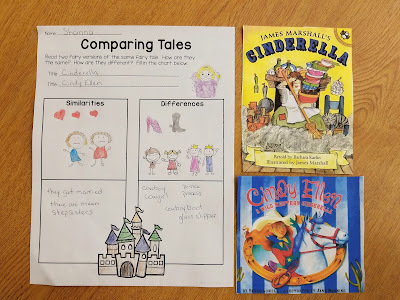 My first grade teachers do a large fairy tale unit at the end of the year so I do reinforcement activities to corespond with them at that time. I love folktales for so many reasons. One is the diversity found in folktales. There are folktales from every culture and country. There is a folktale that will appeal to any type of reader. And the stories and lessons that they teach are timeless. I introduce folk tales by showing them a PowerPoint introduction. It gives the characteristics of a folk tale and defines 5 different kinds of folktales. This is available in my TpT store, just clilck on the image below. I will aslo spend some time discussing where folktales are found in the library (398.2) and why they are in the nonfiction section of the library. I try to keep this very simple and say that many of the folktales (mostly fairy tales and tall tales) are based on real people or events. And that these types of stories teach about many different cultures and traditions. Then I will spend the next few weeks reading different folktales. I useally read 2nd grade fables and tall tales and 3rd grade trickster and pourquoi tales. After sharing various folktales with my students I will have them complete different graphic organizers. This allows students to respond to their reading in an engaing way and demonstrate their understanding of the different types of folktales. 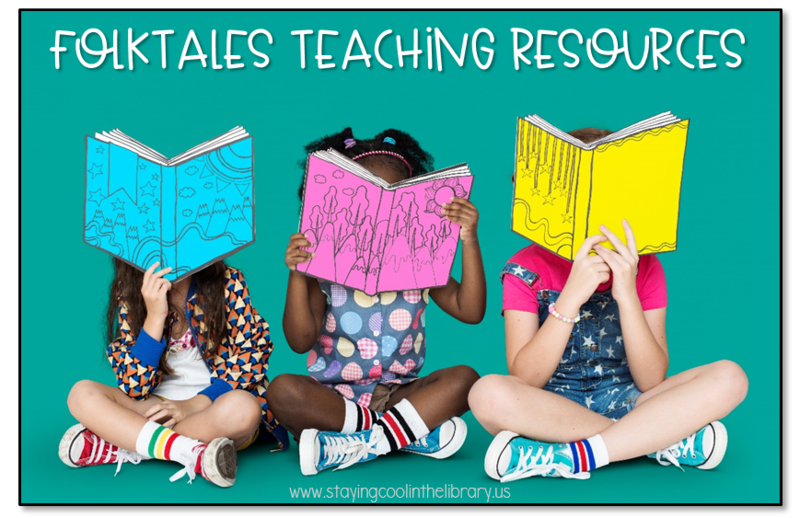 There are organizers to compare 2 different folktales, retell story events, discuss character traits and more. 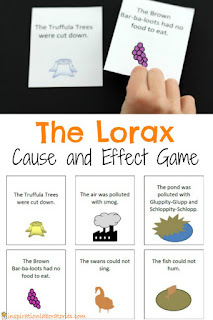 What is great about these graphic organizers is that they can be used with any folktale. 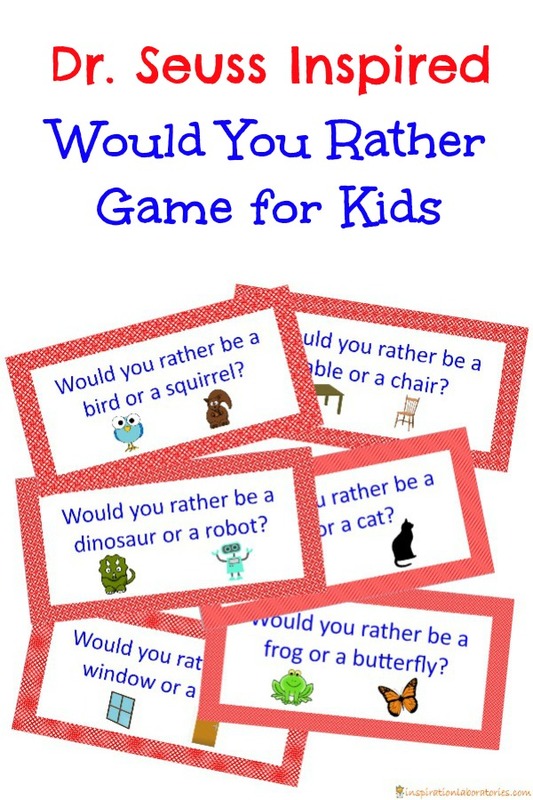 This makes them very versatile and easy to incorporate into your lessons. Below are a few examples of the different graphic organizers. 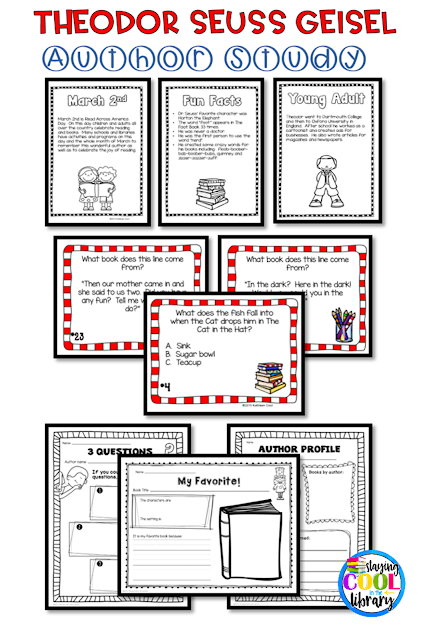 To purchase the graphic organizers from my store click here or on the images below. 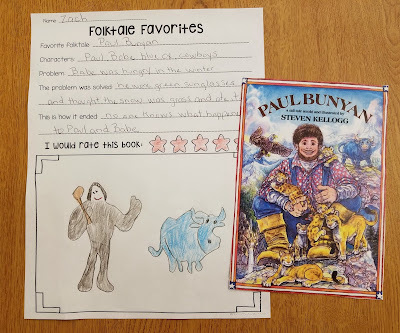 Folktale Favorites - students choose a favorite folktale and complete the graphic organizer. 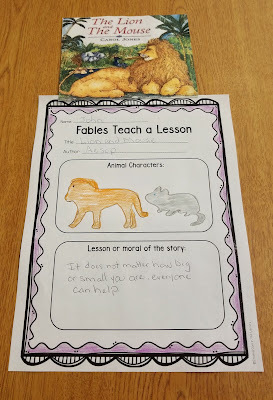 Fables graphic organizer - students draw the characters from the fable and write down the lesson taught in the fable. The folktales graphic organizers also come with 6 posters you can use to display in your classroom or library. And if you are moving towards a more paperless classroom you can purchase the grapic organizers in a Google Slides format. I also created a list of suggegsted folktales. These are all books that I have used in the past or that I absolutely love! Click the image below to download. Book fair! The two words guaranteed to strike fear in the heart of any school librarian. That may be a little melodramatic but book fair week is definitely a very stressful and challenging time. If you have ever run a book fair before then you know what I mean. There are many factors that go into just how challenging your book fair will be. How big is your school? Will you have parent volunteers? Are you going to stop book checkout during this time? 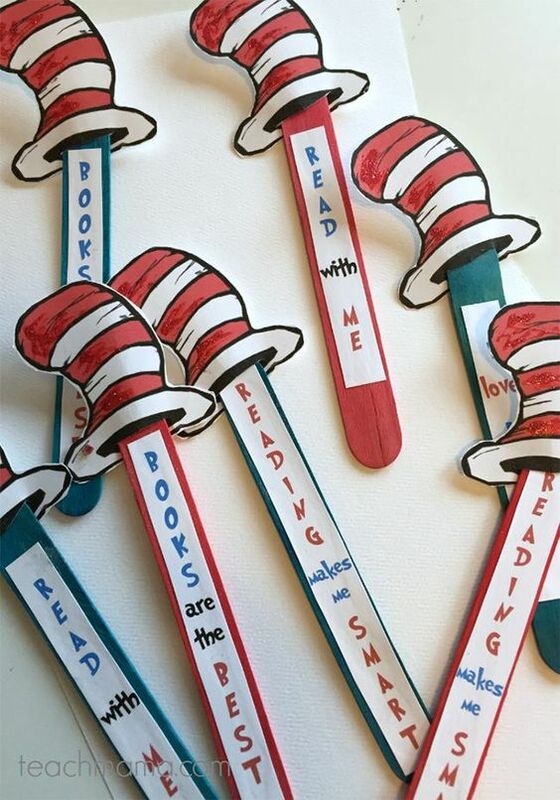 A librarian at a nearby school has less students and more volunteers than she could ever use. She love the book fair and can't wait for it to arrive. I have a large school with very few volunteers, so my assistant and I pretty much do it all. For us book fair time is exhausting. No matter what your situation though, it is always best to be prepared. I have been the chairperson of over 30 book fairs. And while I am by no means a book fair expert, I have learned a lot over the years that I wanted to share with you. 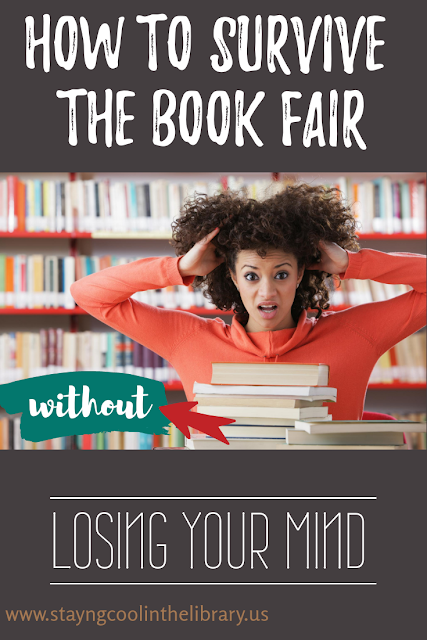 Below are a few of my tips for running a successful book fair without losing your mind. If you have already run a book fair before then you most likely already have these in place. But for anyone new to the world of book fairs this is vital. when can students come to the fair to purchase their books? when can students come to the fair to just look around? do students need to have money to be at the book fair after they have already looked with their class? when can parents come to the fair? 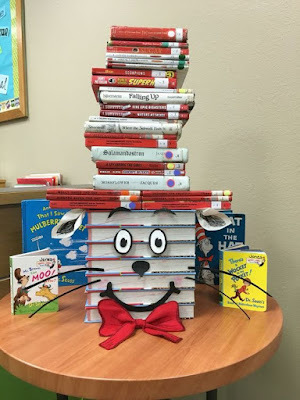 will students check out books during this time? Whatever guidelines you come up with make sure you communicate them with all staff members, the office, parents, and students. Repeatedly. 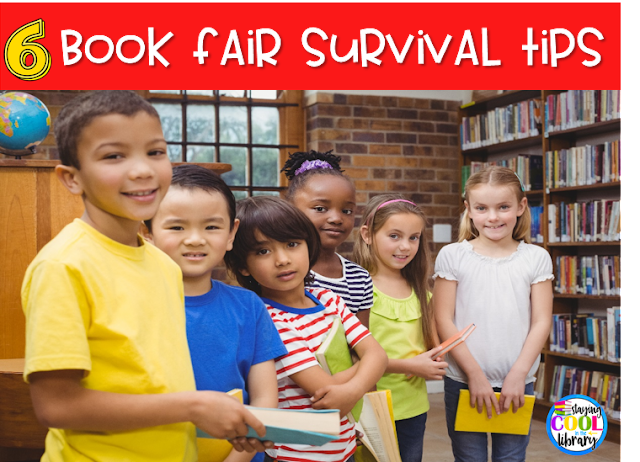 And yes, you will still be asked 50 times when students can come to the book fair (usually by the same teacher). One of the biggest responsibilities of the book fair is managing all of the financial "stuff". 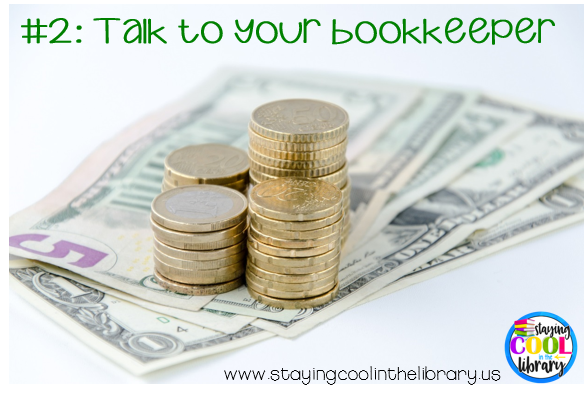 The first step is to talk with your bookkeeper. What will you do with the money at the end of the day? When does your bookkeeper make deposits? Find out what policies you need to follow and any special guidelines required by your school or district. A book fair can take in a lot of money. That money has to be counted and sorted. If you accept checks you need to know if there are any special instructions you need to follow. I have to write down every check number, the name on the check and the amount on a separate form for my bookkeeper's records. Also, be prepared for a lot of change. And by change I mean pennies, nickels, dimes and quarters. Students will empty their piggy banks and scrounge around their house to find money for the book fair. They will come to the book fair with baggies full of it. This change will have to be counted and rolled. Scholastic does have a coin sorting machine in their rewards catalog which is a big help (although mine broke after a year). The EasyScan machines make this process much easier than it used to be (we used to use paper receipt books and calculators). These are likely to be best sellers at your fair so make sure you have plenty of copies ahead of time. And make sure that these items were sent to you. I can’t tell you how many times one of the featured books was not sent to me at all. I put the book cases in two different sections, K-2 on one side and 3-5 on the other. Once the bulk of the fair is set up I will go through each case and organize them. I pull out all the haardcover books and put them on a table (I do not want kids to put them on wishlists since they are so expensive and many students make wish lists from the cases only). I also pull out any book that I feel is not suitable for the age and items that have stickers, 3D glasses or a toy in them. I then group the books together in the cases. For example, I will put the easy chapter books in one spot and move all the Barbie books so they are next to each other. This makes it easier to find items later and it helps me to learn what is in the cases. I will do the same for the cases for the older students. It sounds like a time-consuming process but I find I can do it rather quickly and it helps make the fair run smoother. I always place a reorder the day I set up the fair. These are items that I know I will need more of, items they did not send and were supposed to and items that I know will be a huge hit. Sometimes I will do this just to see if they have the items in stock. Place an order the first few days of your fair. Make sure you have plenty of stock on hand. I would much rather send items back then run out of them (just my personal opinion). Also, make sure you place a larger order before any planned family events. And I have never had anyone from Scholastic question me about my restock order. 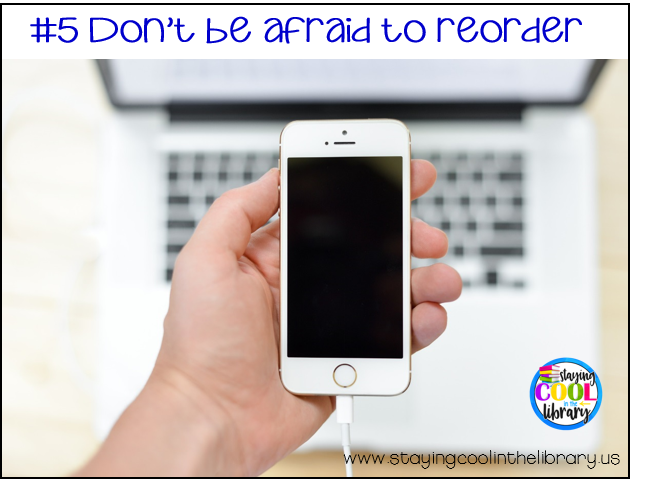 Thankfully it is easier than ever to send reorders with the book fair app. If you haven't used it yet give it a try. Running a book fair is a lot of work and a lot of responsibility. If you don’t have many volunteers it’s even more challenging. Look through the ideas catalog and see what you may be able to use. 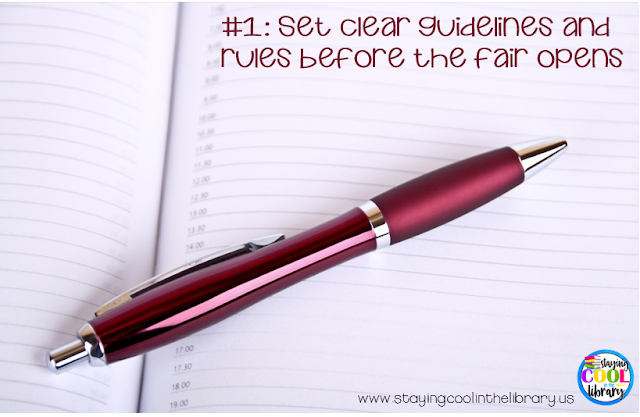 They have some fabulous ideas in there but it may be unrealistic to try and incorporate some of them into your fair. You might want to choose the decorating kit as your free planning gift. I have done this in the past and it has really helped. Don't try and do too many family events. Choose one and advertise it well. If you need to stop book checkout during this time then do so! There is no way I could check out books during the book fair. Thankfully I have had support for this decision, I know some librarians are not allowed to do this. You can always have the teacher keep some extra books in the classroom. Let your teachers know that during the book fair you will need extra time to fill materials requests or provide tech. assistance (if that's something you do). Usually, they are very understanding. I hope that some of my advice will help your fair to run more smoothly and make this time less stressful. I could have added so much more to this list. If you have any questions about running a book fair I would be more than happy to try and answer them for you. And if you have something to add to this list comment and let us know. I can write another post addressing some other concerns or ideas you may have. March 2nd is fast approaching, better known as Read Across America Day. 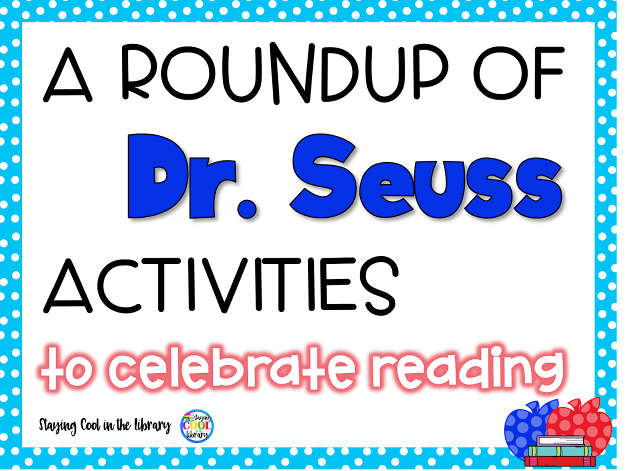 I have always loved Dr. Seuss' books. I love the crazy made-up words and his wacky characters. So once I became a librarian I knew that I wanted to celebrate his birthday with my students. Over the years I have done all sorts of activities including poster contests, trivia games, guest readers and spirit days to name a few. I am always looking for new ideas and I thought I would share with you a roundup of what I have found. 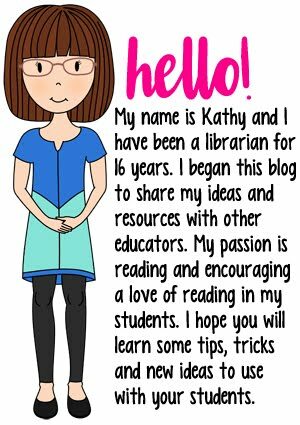 I also created a list of some of the things I have done over the years as well as suggestions from my Staying Cool in the Library Facebook group. If you haven't joined yet you definitely should. 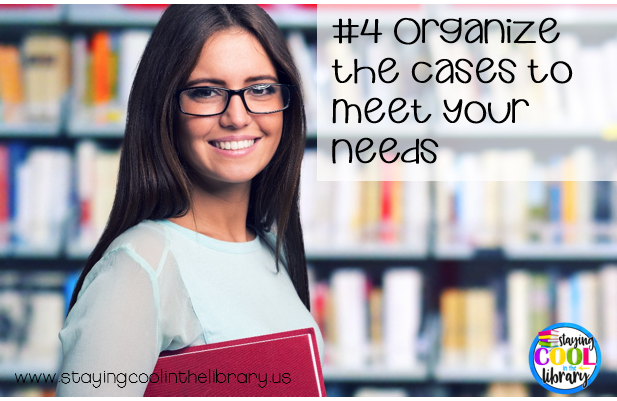 With over 3,000 members it is an invaluable resource for school librarians. You can download the list at the end of this post. 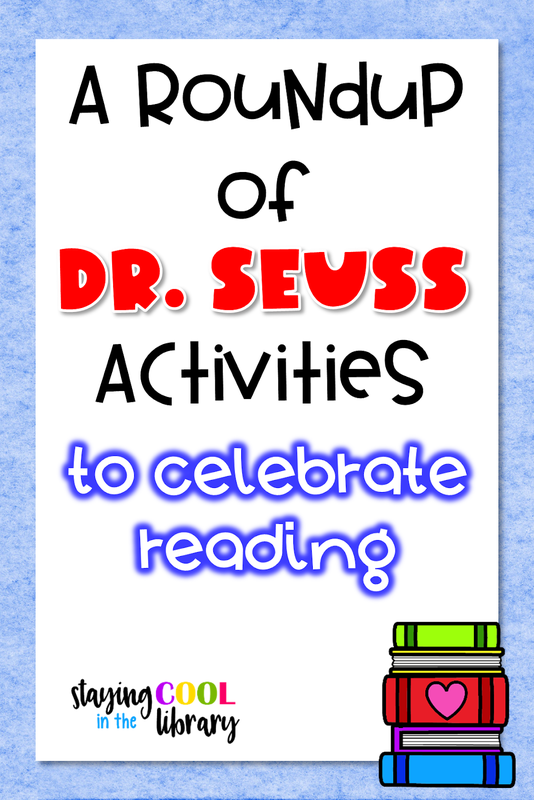 You can find all of these activities and many more on my Read Across America Pinterest board. 1. This first idea is just a picture I found on pinterest. I wish I could give credit to the person who came up with this. I have searched and searched and can not find who originally posted it. 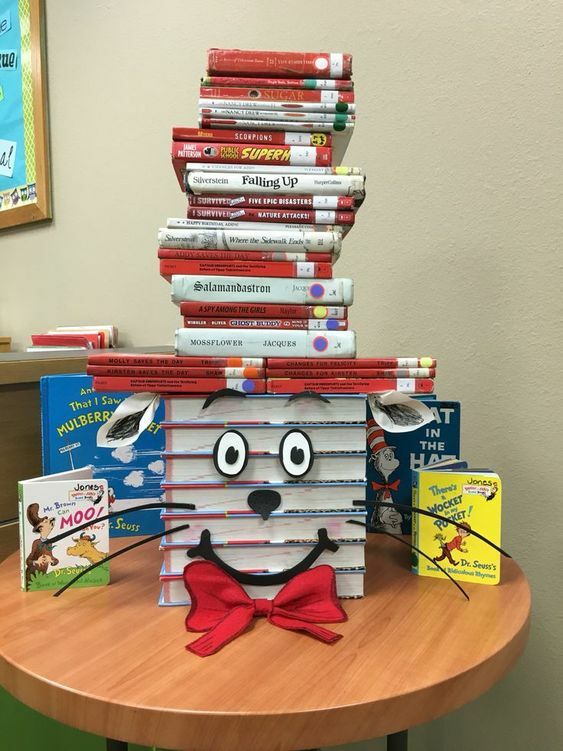 It's an awesome Cat in the Hat book display. And if anyone knows the source please let me know! 2. I found this door display on the blog Teaching My Friends. It is a fairly quick and easy display that everyone will love. 3. 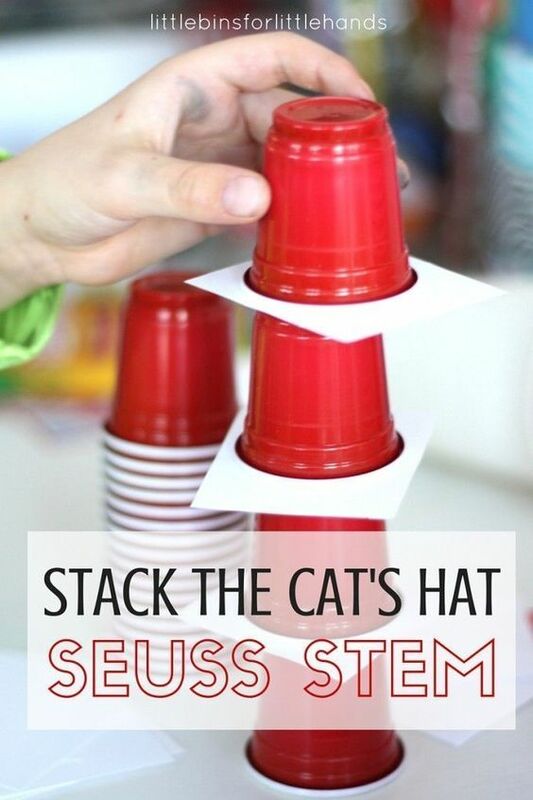 This STEM challenge is perfect for makerspaces or centers. It's from the blog Little Bins for Little Hands. 4. 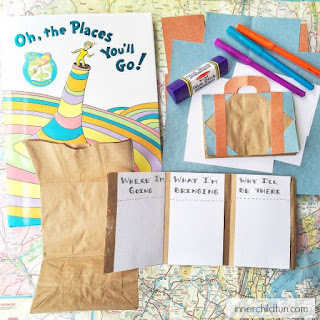 This activity goes along with the book Oh, The Places You'll Go. It does require some prep. 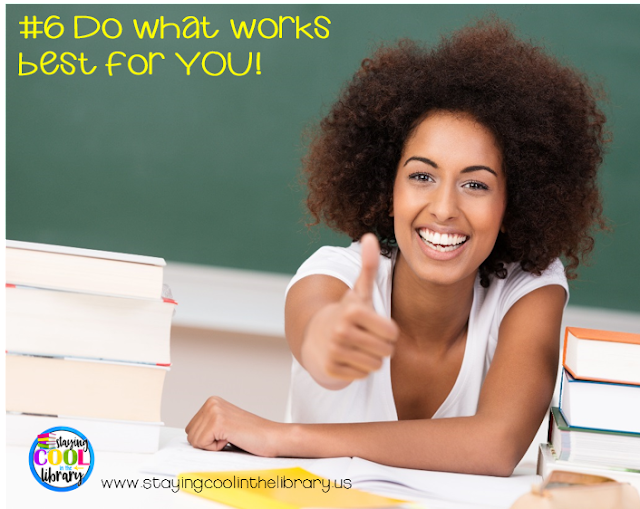 work and materials to get ready so you may not want to do it with all of your classes. It would be a fantastic collaborative project to do with a classroom teacher. It's from the blog Inner Child Fun. 5. 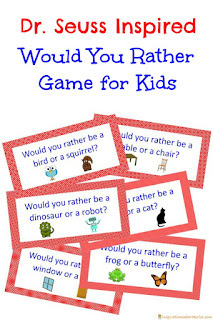 Kids love to do Would You Rather activities and this Dr. Seuss inspired game is sure to be a hit. You can download it here from Inspiration Laboratories. 6. This is a collection of P.E. games. Since library and P.E. are usually part of the specials schedule you could set aside a day and do different games with all of the classes together. We have done this many times at my school and it works well. Thanks to P.E. Central for the suggestions. 7. 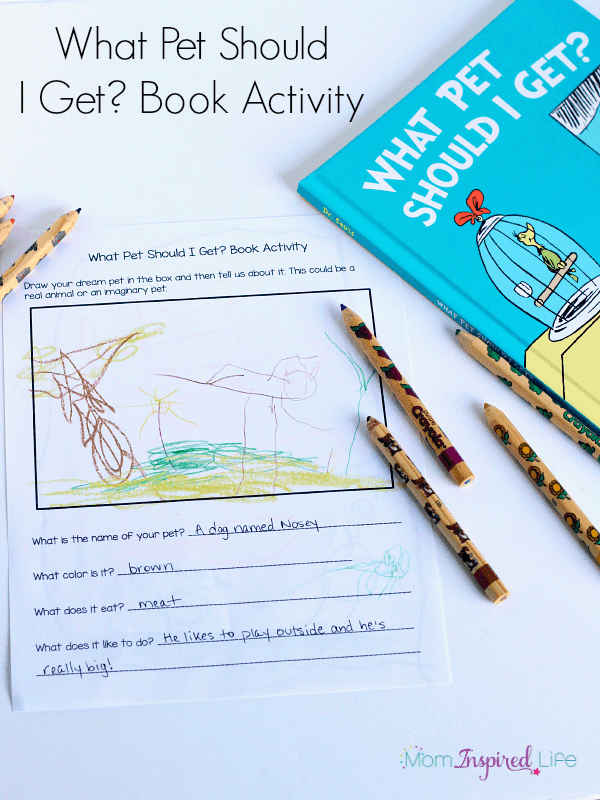 This activity goes along with the book What Pet Should I Get? 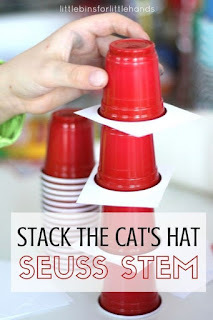 Find it on the blog Fun Learning for Kids. 8. These are cute bookmarks you can print and give out to your students. These would also make good prizes. You can print off the templates from MyPrintly. 9. I love this anchor chart from Mrs. Richardson's Class to teach cause and effect with the Lorax. 10. 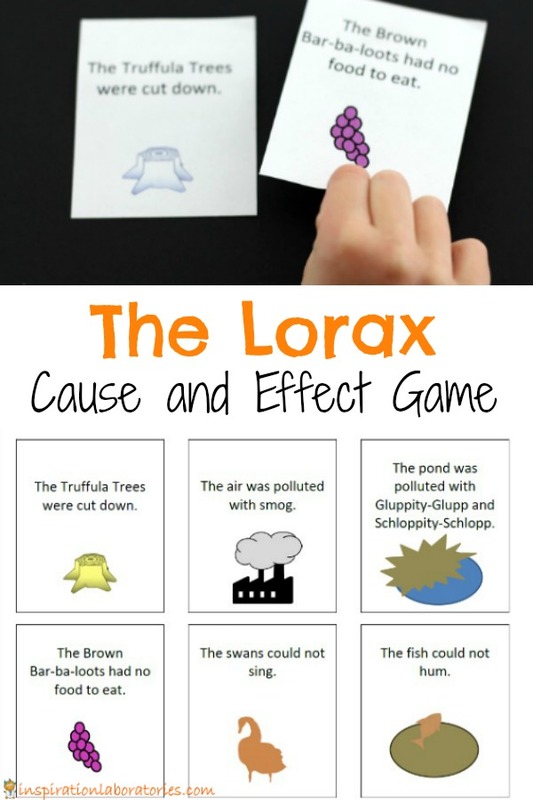 And to go along with the anchor chart here is a free printable cause and effect matching game from Inspiration Laboratories. 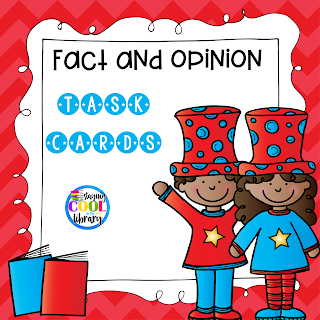 I also have a fact and opinion task card or Scoot activity. 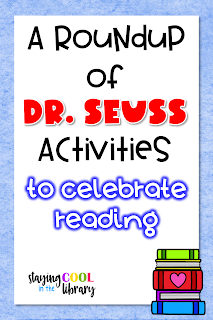 If you want to download my free Read Across America idea list just click the button below! Students love to read books in a series. 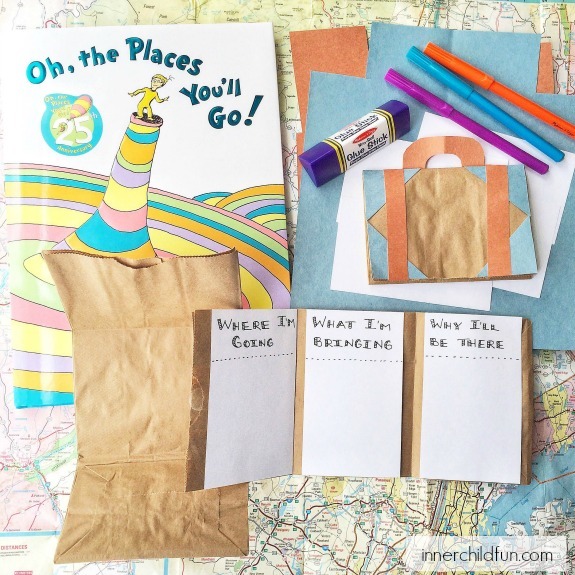 I have found it is one of the best ways to encourage a reluctant reader to read. 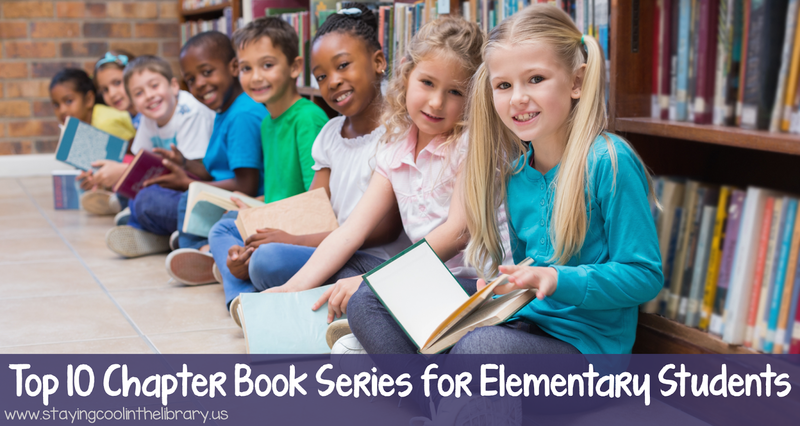 Why do students love series books? There are a number of reasons. Series books make students feel comfortable. Each book in a series usually has the same characters and format and follows similar plot lines. Also the students become invested in the characters and want to read more about them. Children know what to expect when they pick up the next book in a series. This gives them confidence. They successfully read book one and two so they know they will be able to read book three. 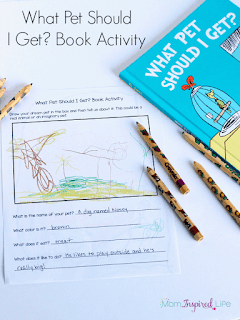 They will begin to see themselves as a reader and will want to continue reading. This confidence in themselves is vitally important for students who struggle with reading. 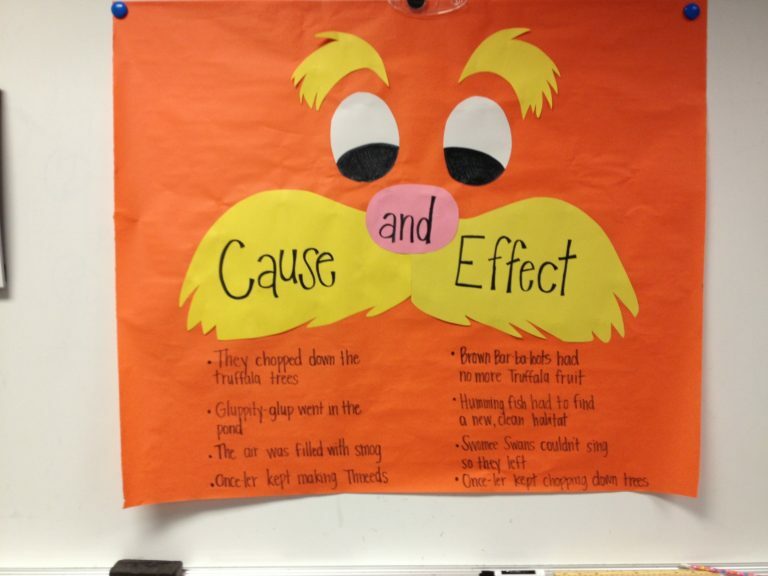 Students feel less pressure when they are reading a book series. It can be very challenging choosing a book to read from the thousands that are available on the library shelves. Students become overwhelmed and may decide not to choose anything. Or they grab a book that has a cool cover even though it is too hard for them. Too many choices can be a bad thing. Which book series to buy? 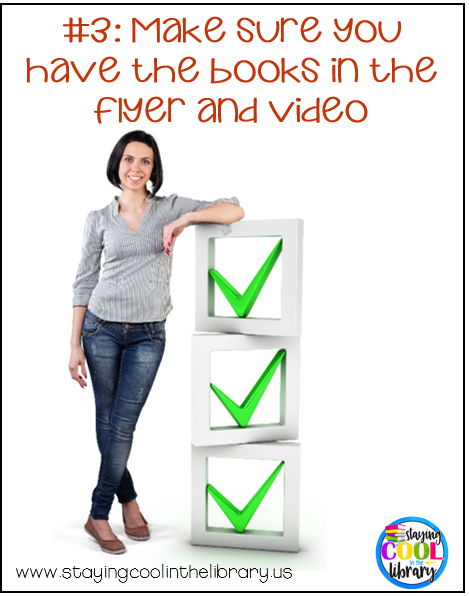 Book publishers know that series books are very popular and very lucrative. Take the Diary of a Wimpy Kid series for example. After the first couple books became so popular it was almost guaranteed that each subsequent book would be a huge success. This is a good thing but it can make it hard as a librarian or teacher to decide which book series to invest in. So I came up with a list of some of my favorites to help make your decision easier. There are 2 different lists. 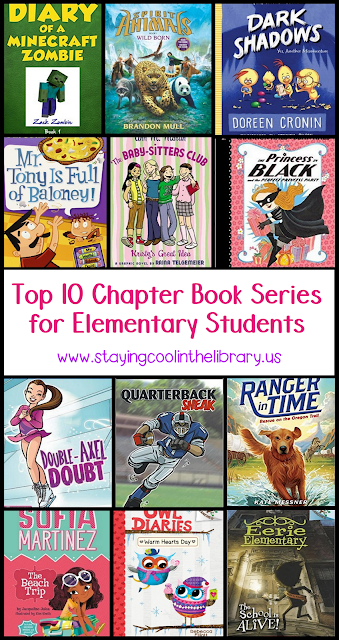 The first list is for younger students and includes beginning chapter books. The second list is for older elementary students. The criteria I used to come up with my lists was very simple. The books have to be interesting to students and they have to be books students will want to read. I also only chose books that are not part of well-known and popular series. We all know that we need to have the latest Dork Diaries, Magic Tree House or Captain Underpants book. You can download the complete list here or by clicking on the image below. What are your favorite book series? What would you add to this list? Leave a comment and let us know. 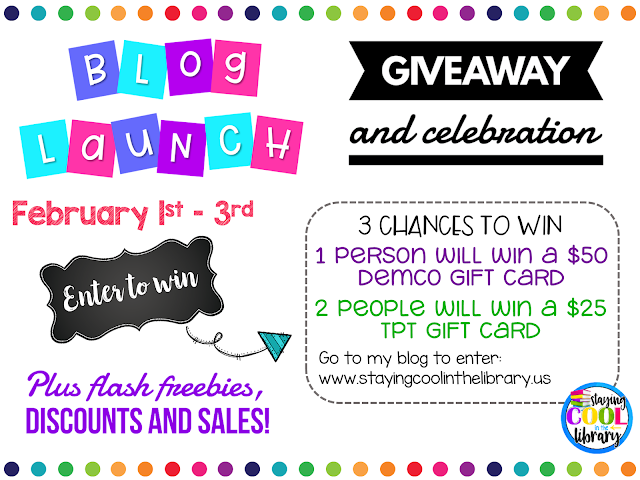 Blog Launch Giveaway and Celebration! I know my blog has been up and running for over a month, but it's time to officially celebrate!!! 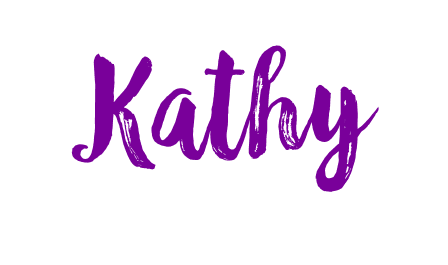 I not only want to celebrate my blog launch but also take the time to say thank you to all of my loyal customers and followers. Your kind words, feedback and positive comments over the years motivate and inspire me. And knowing that my products and resources are benefiting children from around the world makes me so happy. How to enter: Use the rafflecopter at the bottom of this post to enter. Winners will be announced on Sunday. 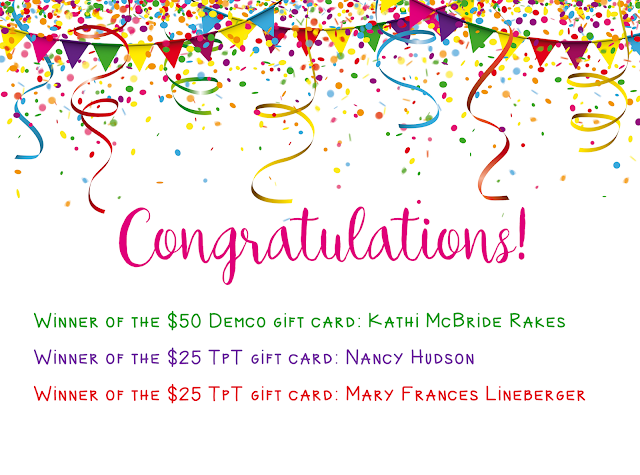 A not about the Demco gift card: I will have to physically mail you the card. The winner will have to provide me with an address in order to claim it. Each day I will be offering different sales and deals in my TpT store. Thursday February 1st: all of my bundles will be 20% off. This includes my Ultimate Librarian Survival Kits. Friday February 2nd: dollar deals on 4 different products. Plus I will offer a few flash freebies randomly during these 3 days. Make sure you follow me on social media to take advantage of these. Thank you to everyone who participated! The winners are below.